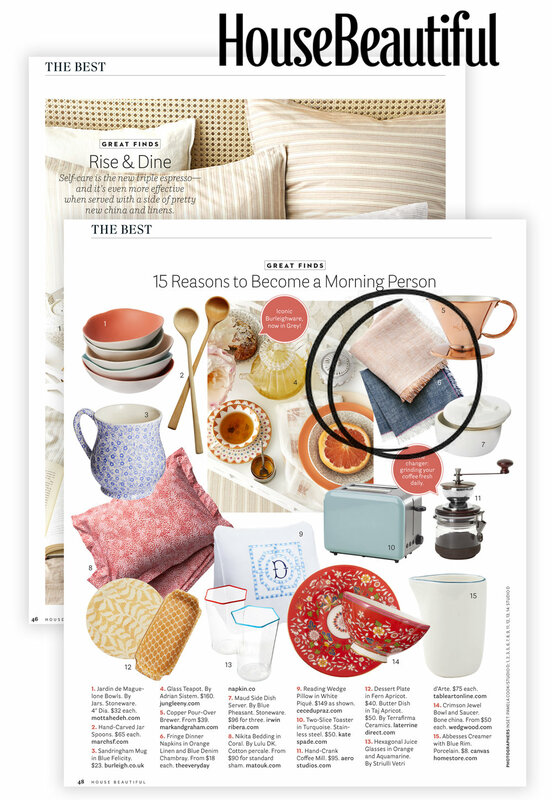 Excited to be featured in The Best of the September issue of House Beautiful! Check us out below in their Great Finds. I would say our beautiful Fringe Napkins are definitely a great morning addition!